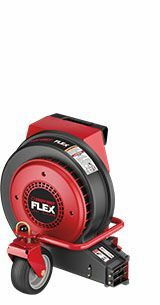 This aggressive blower pushes out up to 1,000 cfm (cubic feet per minute) of air flow, with an air speed of up to 150 mph (miles per hour). 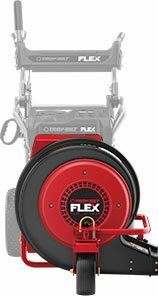 A first of its kind, the FLEX Leaf Blower lets you control the airflow from the handlebars. Which means you can start and stop the air intuitively, while staying focused on getting the job done. Impeller - 12 in. x 3 in.